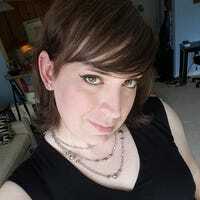 Katelyn Burns is a freelance journalist and trans woman. Her work has previously appeared in The Washington Post, VICE, Rewire and elsewhere. She lives in Maine with her two young children. You wouldn’t guess Wayne Maines’ story by looking at him. The brewpub we’re sitting in has just opened and there aren’t many lunch customers even though it’s tourist season in Portland, ME. Dressed in a button-up shirt, Maines eyes me and my voice recorder cautiously as we chat.